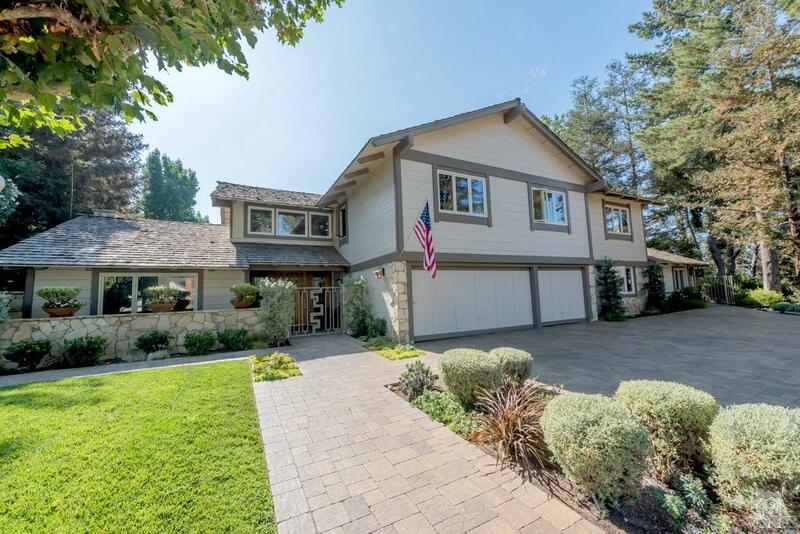 Set on an idyllic cul-de-sac location within the heart of North Ranch, this cherished family estate will transport you to a private mountain lodge retreat. Welcomed by impressive curb appeal & captivated by an incredible two-story entry, this traditional style home is the epitome of classic sophistication. The great room features vaulted exposed wood ceilings highlighting the Lake Arrowhead atmosphere & every spacious room is overflowing with warmth & comfort. With direct access to the family room, the gourmet kitchen hosts high-end appliances, center island breakfast bar & sliding doors leading to the a romantic dining area by the garden. An pool & spa sits in an oasis enveloped in tall gorgeous Redwoods. Adjacent to North Ranch Country Club golf course, the Upper Ranch Park & Westlake Village's Award Winning School District, this estate incorporates the best this community has to offer. Take a breath of fresh air while enjoying spectacular mountain views from an exclusive outlook.